Scientists are saying that music can make CHEESE taste better? DOES CHEESE REALLY TASTE BETTER AFTER 'LISTENING' TO MUSIC? 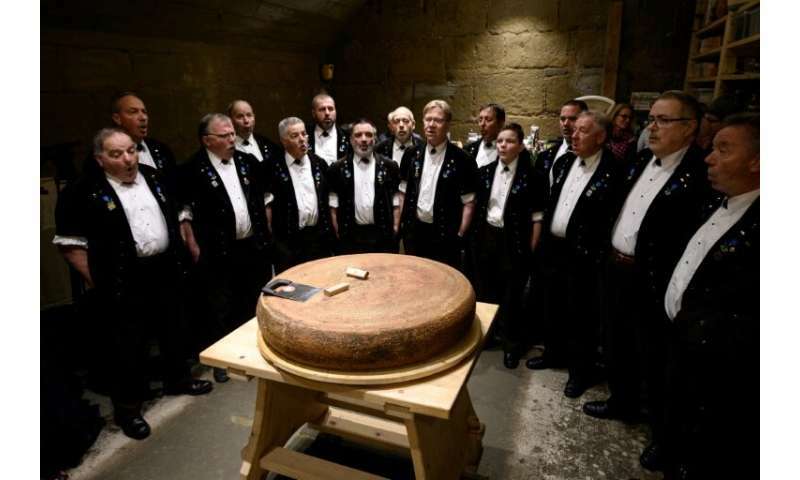 Over a period of 6 months, Swiss cheese maker Beat Wampfler and a team of researchers from the Bern University of Arts played music from different composers, such as Mozart and Led Zeppelin to nine wheels of Emmental cheese. The experiment, named 'Cheese in Surround Sound', was to investigate how sound waves affect the taste of the cheese. Each cheese wheel were placed in individual wooden crates, then exposed to three different wave frequencies (low, mean and high) and five different music genres. This went on for 24hrs a day for over six months. Of course, seeing as this was a test, there had to be a 'control' wheel that was put under the same conditions, except with as little sound as possible. Some of the music the cheese 'listened' to was Mozart's opera 'The Magic Flute', Led Zeppelin's 'Stairway to Heaven', and A Tribe Called Quest's hip-hop track 'We Got It From Here'. After the six months were over, all the cheeses were tested by external food technologists from ZHAW Food Perception Research Group. The technologists then underwent a Blind taste test so that they could get accurate results. They concluded that hip-hop gave the cheese a stronger flavour, while the cheese exposed to Mozard had a much milder taste. Peter Kraut, the deputy director of the music department at the University said "We did two surveys, a scientific one, and another with a jury of culinary experts," He added that "both came to the conclusion that there are differences, there are differences in taste and in the smell, according to the music with which the cheese has been refined." Jury member Benjamin Luzuy said that hip-hip triggered a "softer, more floral" taste, but his favourite was the Mozart-exposed emmental cheese. He also said that "The differences were very clear, in term of texture, taste [and] the appearance, there was really something very different." A representative for Wamplfer added that the hip-hop cheese tasted "remarkably fruity, both in smell and taste, and significantly different from the other samples." this is why i listen to music while i eat.